It symbolized freedom for three generations of drivers. 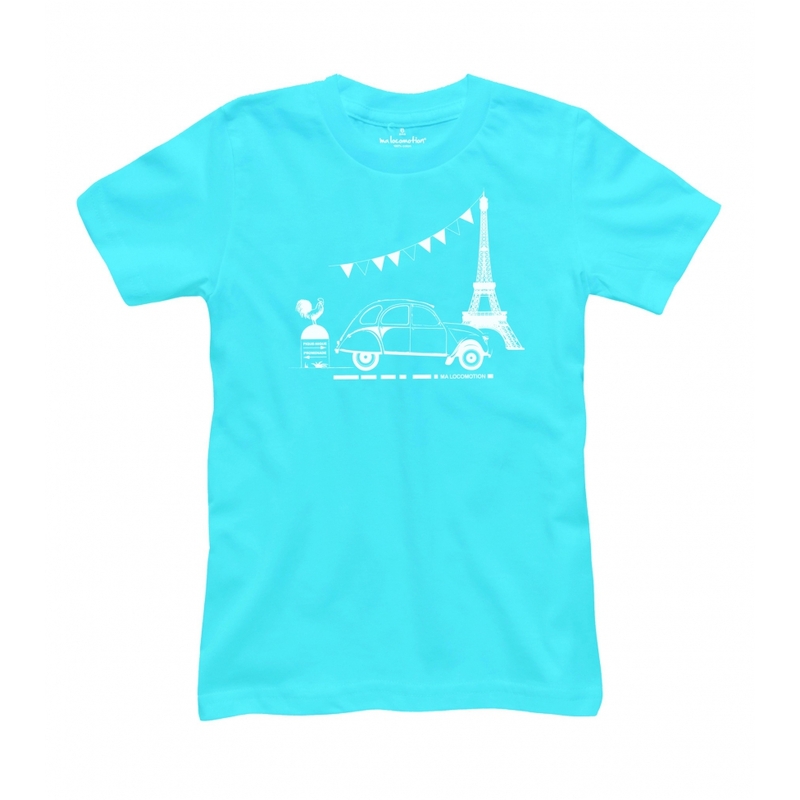 Either manufactured or assembled on all continents, it symbolizes THE typical French car ! 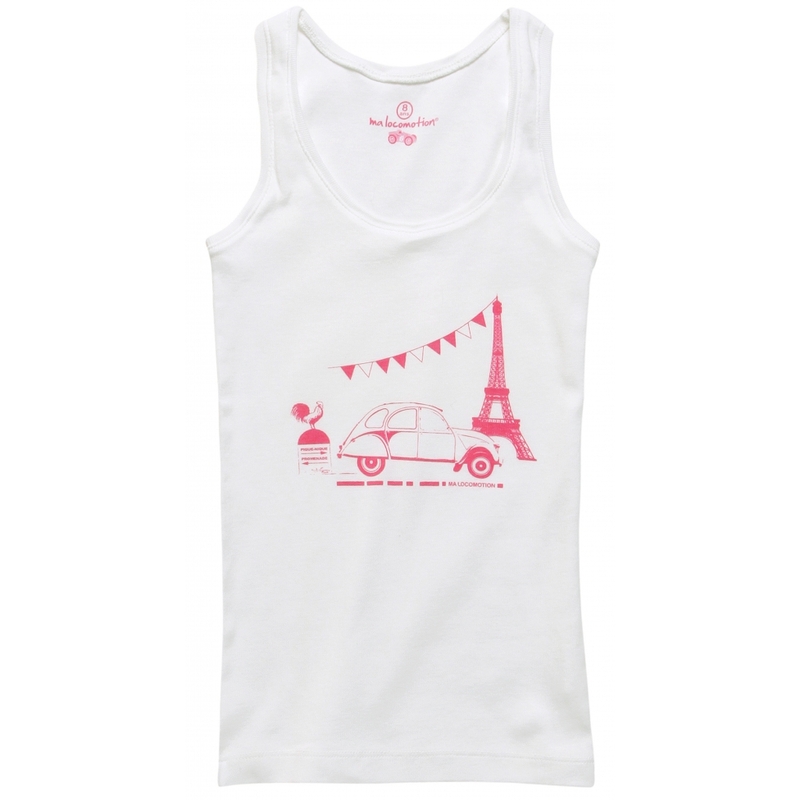 Ma Locomotion celebrates both the 2CV and Paris, in a spiced retro neon pink spirit declined around two easy-to-wear models: a tank top and t-shirt. Neon pink Eiffel Tower tank top. 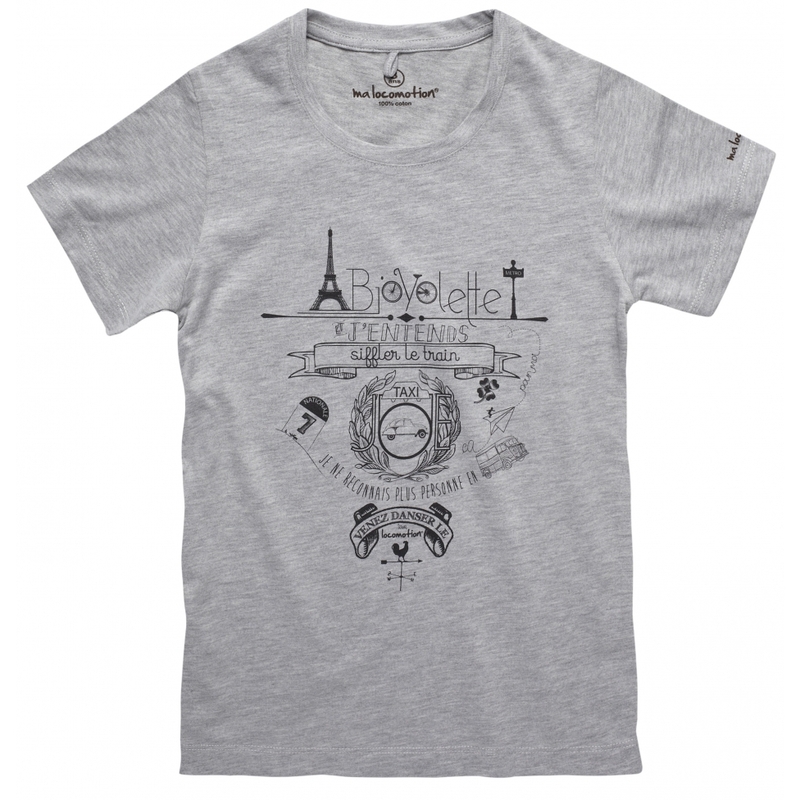 This Eiffel Tower t-shirt is printed with water-based inks. Digital print with water-based inks. Sizes from 2 to 12. What about a Summer road trip in France ? 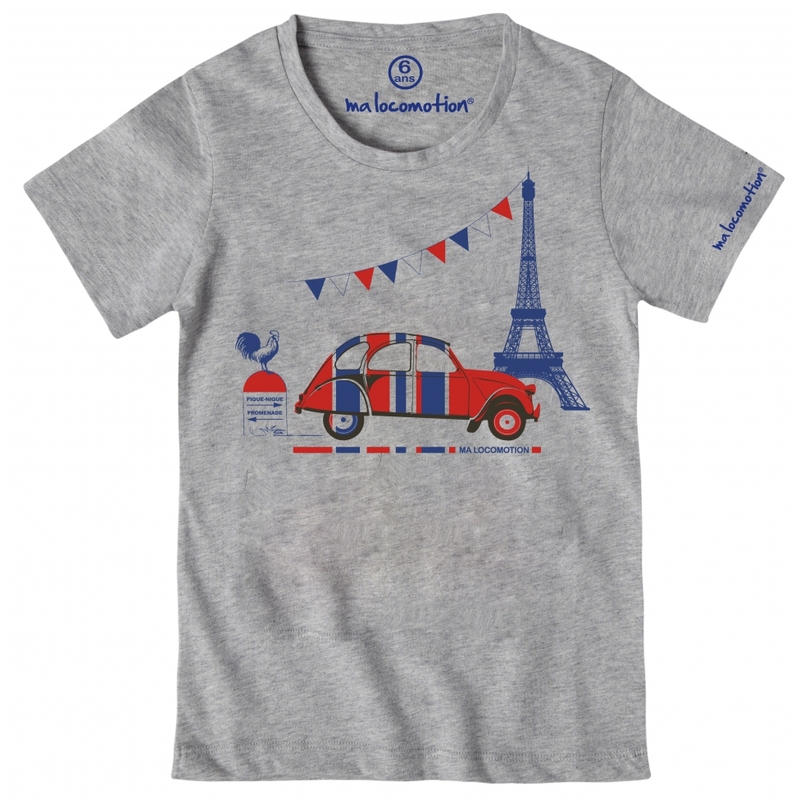 Featuring our french music playlist, this peach skin touch t-shirt is printed with water-based inks.